Perhaps making money from a hobby seems like a distant dream for you. Perhaps you don’t feel equipped to run a business. Whatever your doubts might be, you need to understand that they are useless, then push them as far from your thoughts as possible. Providing you do your research and don’t skimp on quality, you can make almost any hobby into a business if you’re willing to put in the work. This post will concentrate on making things and turning the hobby into a cottage industry, but selling services such as golf lessons or piano lessons can thrive from this advice too. This is the most obvious and simple step, but I believe it is the most overlooked. Try and profile them to figure out who they are and what they like. The best way to do this is to seek out some other, similar small businesses and have a look at the clientele. Where do they hang out online? What groups are they members of? How can you get your business in front of them? USP = unique selling point and you need one to make your business stand out from all the rest. If there’s a hundred people knitting scarves like yours and selling them for a similar price, what makes yours different? Why should they choose yours? If you haven’t got one, you need to find one before you invest too much more time in the project. Don’t let this be your stumbling block. How much does it cost to make your product? How long does it take you? How much can your realistically charge? 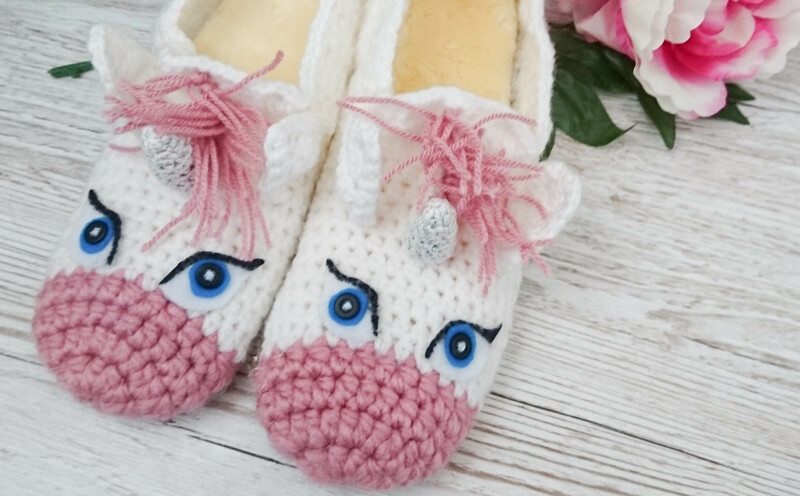 Every autumn I crochet slippers, hats, scarves and mittens to make pocket money for Christmas. On a basic pair of slippers (without decoration or a quirky design) I make about £5 and it takes me about 4hrs in all. The thing is, I don’t mind once a year. If this were my livelihood I would either have to charge more or make the production time less (probably both), skimping on quality isn’t an option. 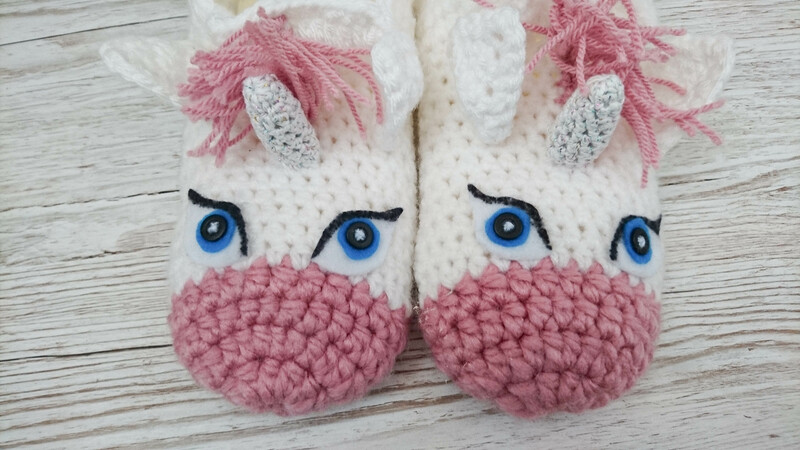 I’ve recently designed these unicorn slippers, but to make it worth my while, I’d probably have to charge a lot more than people are willing to pay. You’ll need to make an executive decision, on occasion. If a product isn’t financially viable, then you will just have scrap it from your shop. The thing is, my hobby is crochet, and I know it’s time consuming, so if it’s something I’d enjoy making anyway, I don’t mind making a small amount of profit once a year. If I was doing it all year round, I’d have to charge more and find an USP to make sure the product would still sell. Collect all of your research together and write it in an easy to understand report – even if it’s just for yourself to read. Write down some values, a mission statement and achievable, quantifiable goals for months 1, 2, 3, 6, 12, 18 and 24. Have a contingency plan for if things don’t go as well as expected and always be prepared to adapt. A business plan is always a work-in-progress, it’s never finished, only updated. You could go straight in with Etsy (that’s where lots of people start) or look into Shopify, Amazon Handmade, Facebook selling or selling directly from your own website. These are only a few options and I’ll be discussing the pros and cons of each option in depth in the coming weeks. If I were you, I’d always have a blog to accompany your shop. It drums up excitement for new products in production, showcases your talents as a sort of portfolio, creates a community around your brand and gives people a ‘behind the scenes’ peek at what you’ve been up to. You’ll need a Facebook page to help advertise your wares too. Everyone and his gran is on Facebook so if you can crack getting interaction on there, your sales will shoot through the roof! Friends and family are a godsend in the early weeks, so rope them in to liking and commenting on everything you post until your real fans find you. Also, make sure your photos are lovely. Buy props, make backdrops and always get the best lighting that you can. I hope this is enough to help get you started. It’s important you have fun with your business, don’t make it feel like too much of a chore.